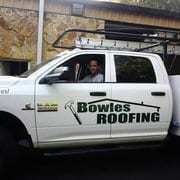 Call Bowles Roofing now and entrust the professionals for all your Ocala, Florida roof repair needs. Ocala/Marion County’s unique environment is one of the major reasons why people come to visit, and then decide to move and to live here. The rolling fields of majestic fence lined horse farms, historic districts and city streets canopied by 100-year-old trees, make Ocala Florida a great place to live and work.